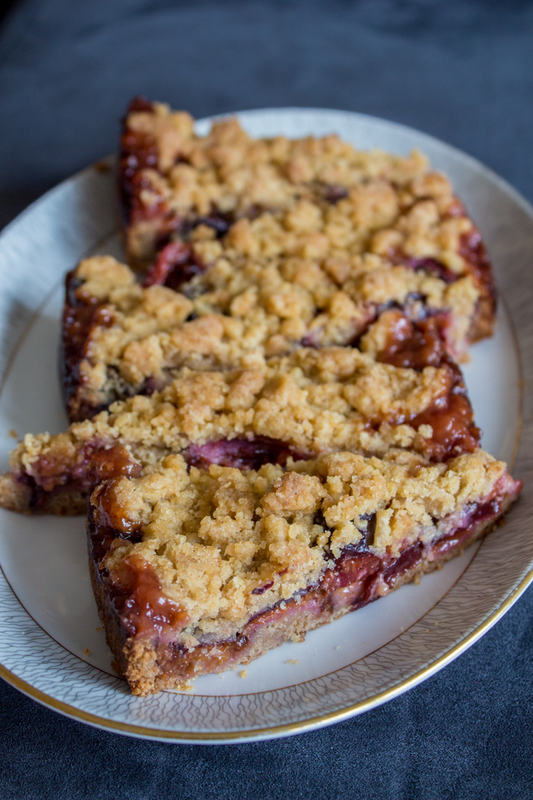 This traditional German plum cake with streusel topping is a wonderful, homey dessert for late summer and early fall. 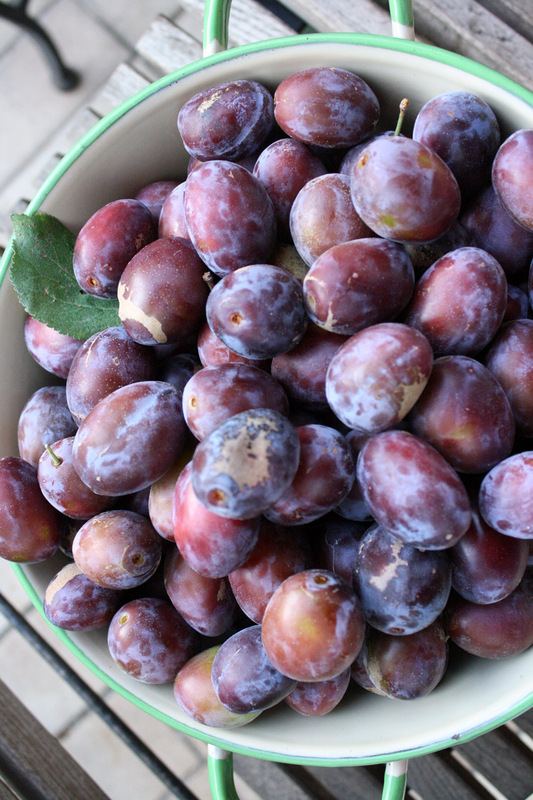 It's plum season, and when my boyfriend and I were given a bucket full of fresh picked plums from his aunt's garden, what better way to use them than in a homemade cake? 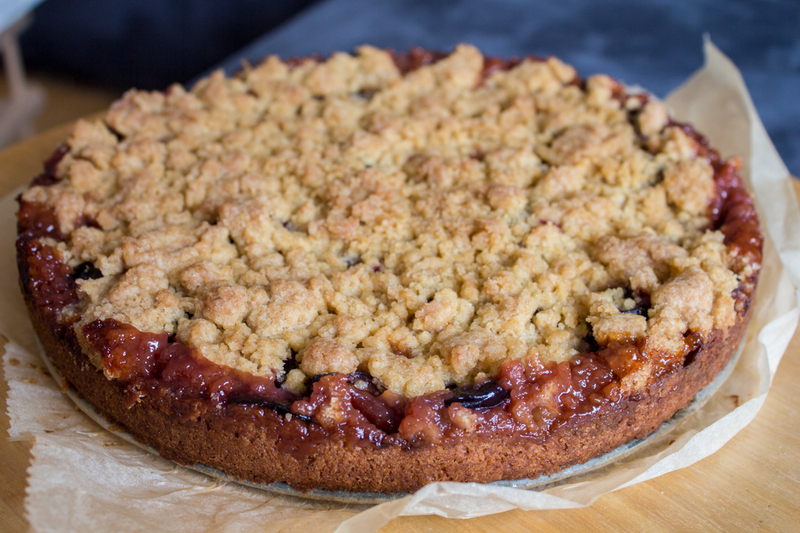 It turned out a little more rustic than the bee sting cake I shared with you earlier this month because we used whole-grain flour for the dough and covered the cake with cinnamon crumbles that add an autumnal hint to it. 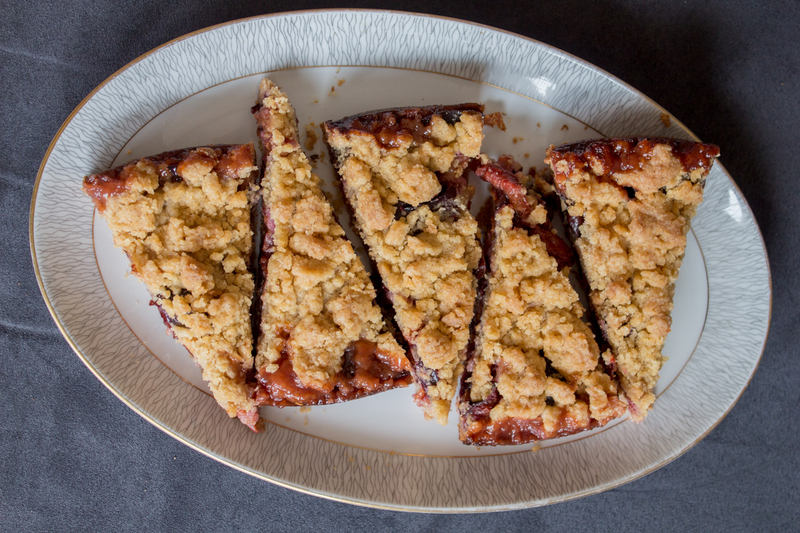 Underneath the crispy crumbles, the plums will soften into a jammy, mulberry-colored layer as they bake – it's heavenly! 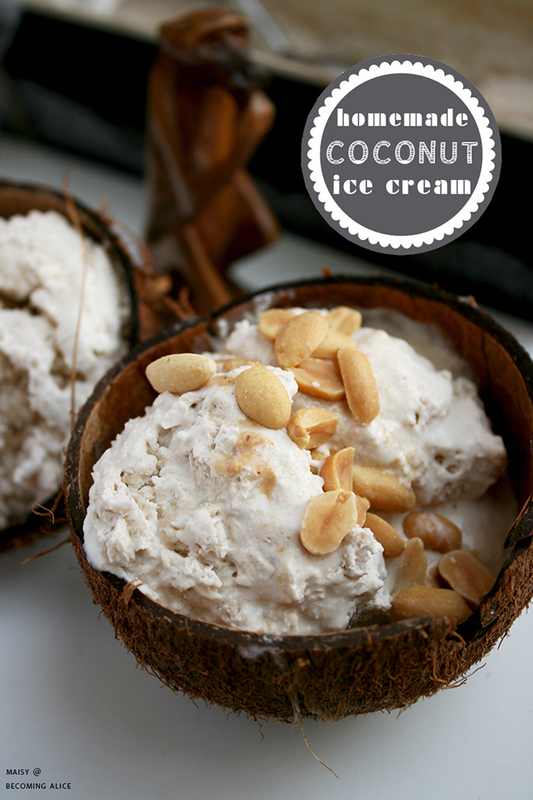 Served while still slightly warm, and paired with a scoop of ice cream or custard sauce, it's the best thing. 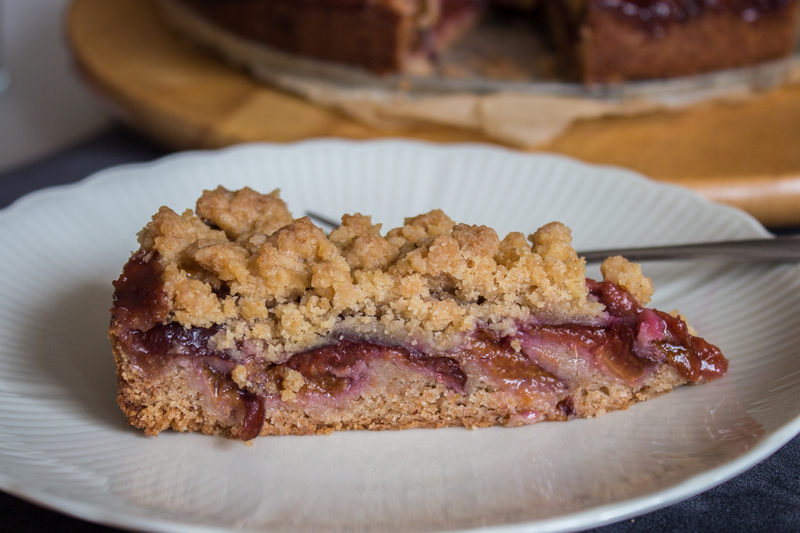 You could also replace the plums in this recipe with apples or pears (I made a very similar crumble cake with apples and pears a few years ago), depending on what autumn fruit you have at hand. Begin by beating the butter/margarine and the sugar in a large bowl until fluffy. Whisk in the flour and baking powder. For a more wintry taste feel free to add warming spices such as 1 tsp cinnamon, 1/8 tsp nutmeg and 1/4 tsp cardamom – I bet 1 tbsp of rum would also taste great in this!). Add water and vanilla essence, and beat on low speed until smooth. 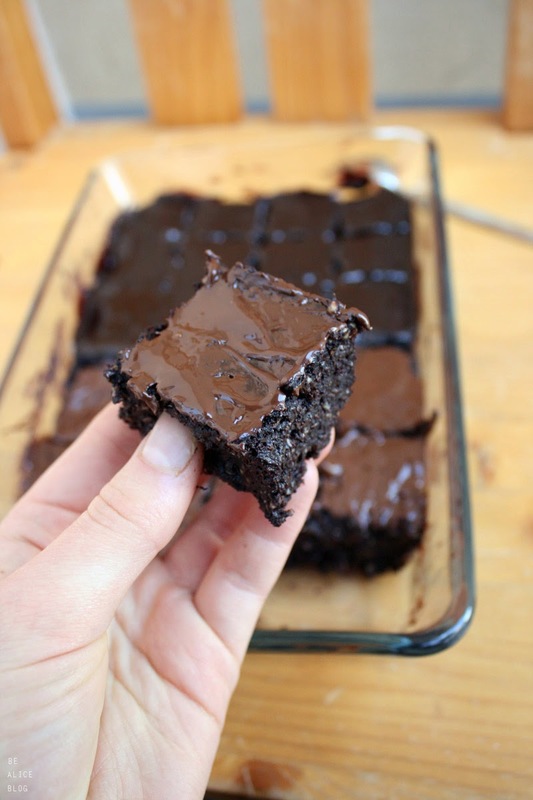 Cover the batter with a clean kitchen towel and leave to cool in the refrigerator for 30 minutes. While the dough is chilling, whisk together flour, sugar, and cinnamon. Cut in the butter/margarine and rub together until small to medium clumps form. Refrigerate until ready to use. Transfer the batter to a greased springform pan and smooth the top. 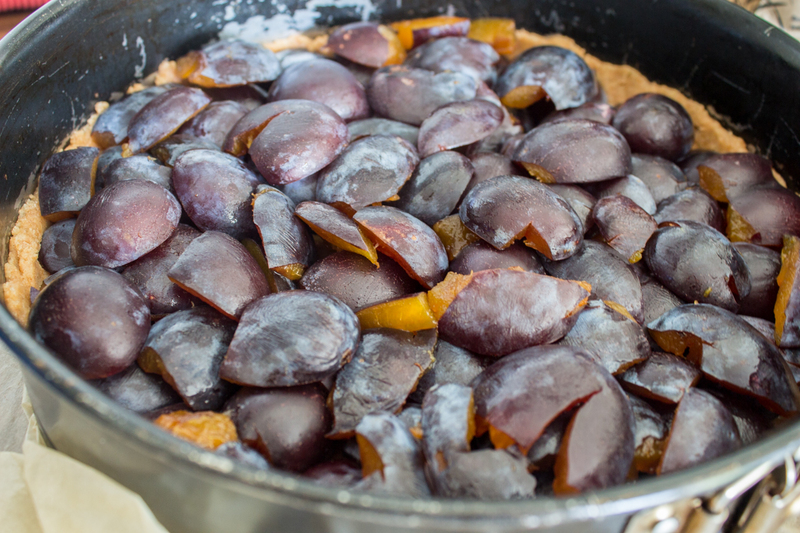 Cut the pitted plums in half, and arrange them on top of the dough, skin side up, in a circular pattern so that they cover all of the batter. 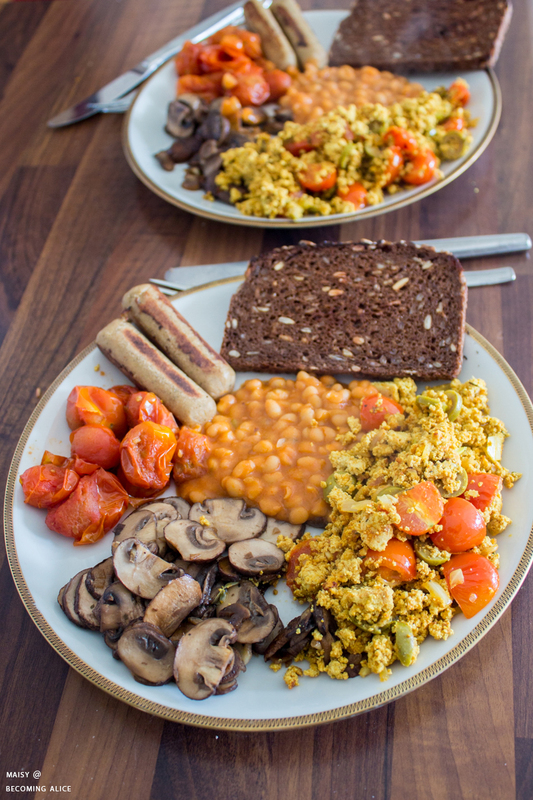 Scatter over the crumble. Place the cake on the middle rack and bake the cake for 55-60 minutes until the top is lightly golden and a skewer poked into the cake mixture comes out clean (plums will remain sticky, however). Remove the cake, allow to cool in the pan for 20 minutes, then open the springform and allow to cool on a rack. Serve it as a brunch cake, or for dessert topped with (vegan) vanilla ice cream, vanilla custard or whipped cream, if desired. 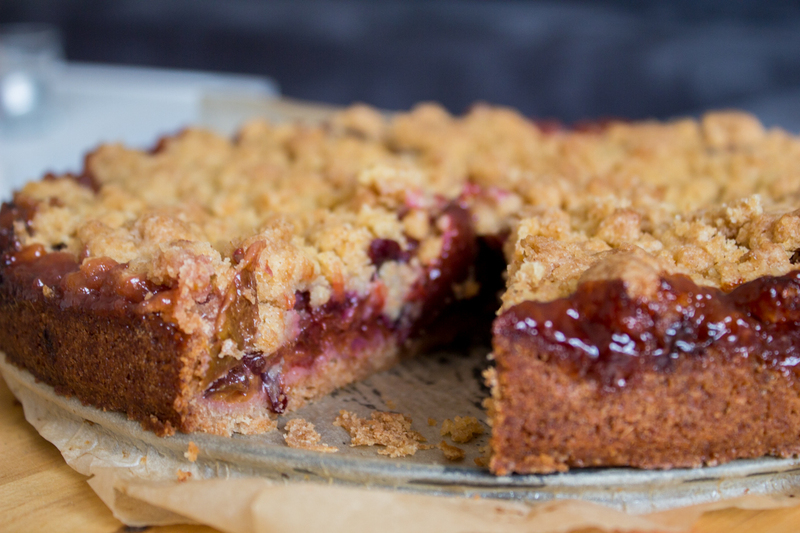 To make this delicious coffee cake for a crowd, double the recipe and bake on a sheet.